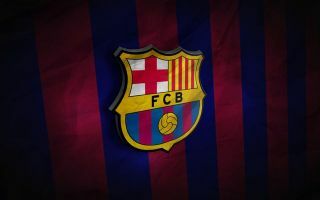 Barcelona are reportedly planning to offload as many as nine players this summer as they embark on a major clear-out of some of the deadwood in their squad. Although they have strolled to the title in La Liga this season, it’s clear there is room for improvement as they don’t exactly look the Barca of old. The club will be particularly disappointed with their early exit in the Champions League, having surrendered a 4-1 first leg lead to lose 3-0 to Roma in the second leg of their quarter-final clash. Some poor recent signings and others who’ve failed to progress as expected seem set to make way, with Don Balon giving a long list of the players in the firing line. Among those who could leave are three of last year’s signings – Ousmane Dembele, Paulinho and Nelson Semedo, according to Don Balon. The report also lists Paco Alcacer, Andre Gomes, Rafinha Alcantara, Gerard Deulofeu, Aleix Vidal and Lucas Digne as among those the Catalan giants would like to ship off. Given that Don Balon recently linked Liverpool with a £69m offer for Dembele, this could be encouraging news for the Reds as he seemingly has no future with Barcelona. The French starlet arrived with a great reputation and plenty of expectation but doesn’t seem an ideal fit for the way Ernesto Valverde’s side play, though he could excel in Jurgen Klopp’s attack.